A few weeks travel started in Kuala Lumpur with a conference at the Malaysian Securities Commission and one at the Kuala Lumpur Convention Center. Also there was some general tourism. You can read the items I posted along the way and below are some general comments and photos. 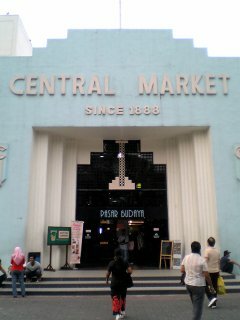 The central markets is an old art deco building, originally housing a produce market converted into handcrafts and tourist shops. 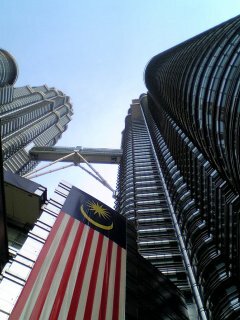 I was prepared to be disappointed by the Petronas Towers, but by noght and day they were impressive. 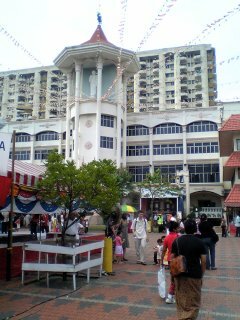 In the afternoon sun the metal covering of he building sparkeled and at night the building glowed. Of course this is a waste of energy and resources, but it looks good. The base of the touwsers has a large shopping center and is connected by pedistrian underpasses. 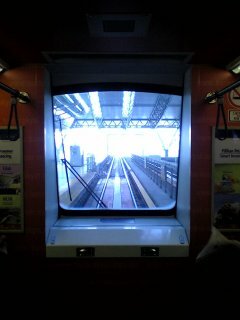 KL's Metro is automated. 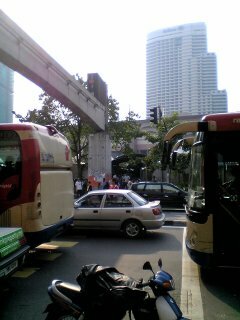 If you look carefully at the photo you will see two Buddhist monks, who appear to be driving the train. In fact this is a front passenger window, which gives a view down the track. Driving controls for manual operation of the train are hidden behind panels below the window. 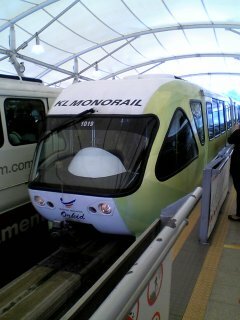 KL's Monorail is more useful than Sydney's but still not a viable urban transport system. It does not help that the track ends in mid air a few hundred metres from the mail transit hub. A Buddhist Monastery on a festival day is an entertaining place. There are people lighting candles and incense, making donations, praying and eating. 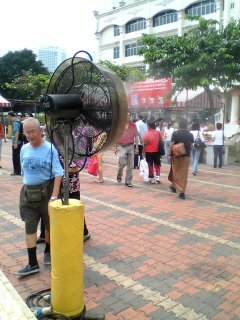 Cooling is provided by fans with water sprays. 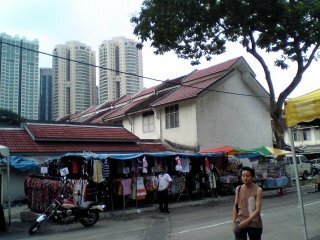 The housing around the temple ranges from two story red tiled terraces to skyscraper apartment blocks. 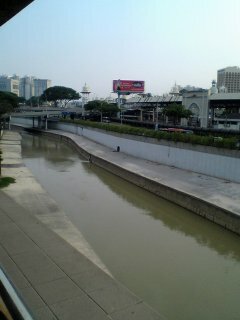 The rivers of KL have suffered in the process, being turned into concrete drains.